I can finally offer a tip!! 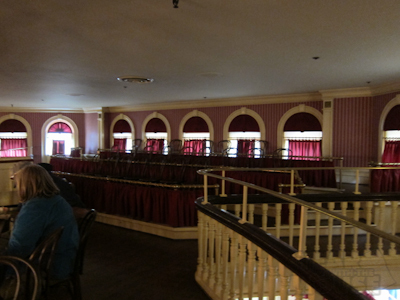 See those alcoves on the sides of the stage? Back when I was in junior high, we discovered that you or anyone can sit in them! We would get to our show early (probably 30 – 45 minutes early– that’s how important we thought it was) to be the first in line and bust through the doors and run to the stage seats. The other people who line up early usually have this plan too, so it helps to have fast feet and a faster (and charming) smile. Honestly, I don’t know if the show is better when you’re ON the stage. Probably better to see it from the actual audience vantage point. But it does feel special. And once I got picked to be the audience participant from there! Yee haw! p.s. to get into the alcove, you run up the stairs that seem to go toward the wall (not the ones that go onto the stage) and then go through the curtain. The stairs and curtain are what make people think its off limits. But you can go for it. I lost my entertainment schedule as well but maybe they’re regulars who’ll be on the schedule again. I rarely watch the shows, so this was a new experience for me and worth the time. 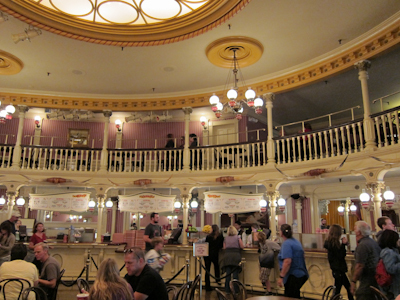 And the Golden Horseshoe is a great space. These guys are the Laughing Stock Company. They are hilarious! Sally Mae is my fav! 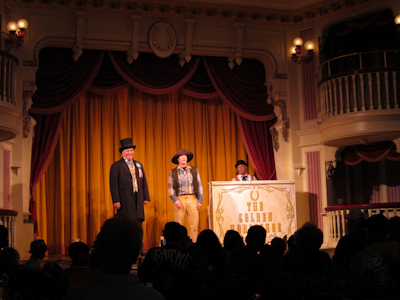 We’ve also seen them outside the Golden Horseshoe on a weekend. 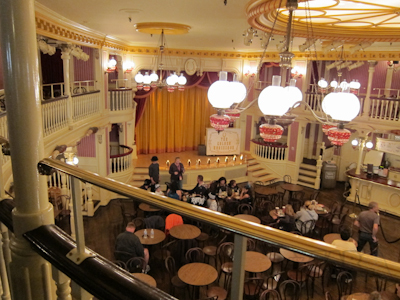 By the way, the “box” on the right side of the stage is where Walt and VIP’s would sit. 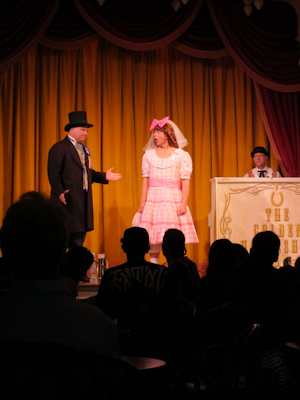 My mom and I were given a “Magical Moment” and a cast member invited us to sit there for one of the shows. I think this is “The Laughing Stock Co” and it’s probably my favorite entertainment! 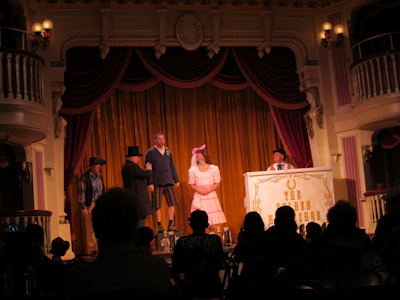 You need to go see Billy Hill and the Hillbillies. They are pretty talented musicians. DH and I had lunch at the Golden Horseshow and watched the show during our last visit. 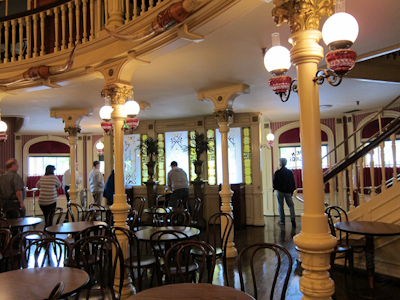 The group has been playing at Disneyland for some 20 or 30 years.